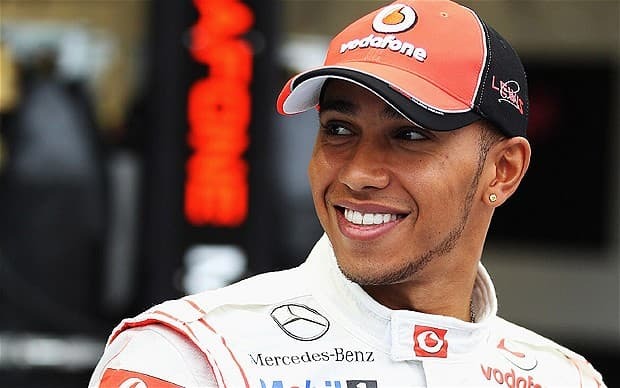 Lewis Hamilton has won the Hungarian Grand Prix four times when he was not behind the wheel of the best car in Formula One so one thinks it would be foolish to bet against the British driver in the 29th consecutive Hungaroring race. Hamilton won four races in his debut Formula One season and the 2007 Hungarian Grand Prix was one of them. Hamilton was involved in a qualifying drama with then teammate Fernando Alonso that resulted in the Spaniard being demoted from first to sixth on the grid and the Briton gaining pole position. Hamilton led every lap of the race but took the chequered flag less than one second in front of Kimi Raikkonen, with Alonso 45 seconds back in third. The first two days of the 2008 Hungarian Grand Prix weekend went well for Hamilton but, unfortunately, he experienced problems during the race. Hamilton qualified fastest – he was almost one-quarter of a second quicker than his then teammate Heikki Kovalainen – but he was fifth in the main event after the front-left tyre on his car deflated. Hamilton bounced back to Hungarian Grand Prix winning ways in 2009, ending his barren run of 10 races across two years without a victory. Hamilton was speedy in the each of the first qualifying sessions but he botched the all-important third one to start the race from fourth position. Hamilton worked his way to the front on lap 12 and went on to win by an 11-second margin from Raikkonen and Mark Webber. The 2010 Hungarian Grand Prix saw Hamilton retire on lap 23 with a gearbox problem and the 2011 Hungarian Grand Prix was a race in which the British driver started on the front row but finished fourth. Hamilton did lead the 2011 Hungarian Grand Prix but his pit-stop strategy backfired when the circuit started to dry out just after he had elected to place intermediate tyres on his McLaren-Mercedes car. Hamilton has taken the chequered flag first in each of the last two editions of the Hungarian Grand Prix. Hamilton was the quickest driver in all three 2012 Hungarian Grand Prix qualifying sessions and he held off a charging Raikkonen to win the race by just over one second. Last year, Hamilton did the Hungarian Grand Prix pole-race double for the third time and, once again, Raikkonen was the driver who chased home the Briton. Raikkonen has five Hungarian Grand Prix silver medals to go with his one gold and one bronze. The Mercedes team of which Hamilton is a member has won all bar one of this season’s 10 Formula One races and fears that the Silver Arrows would lose their edge over the rest of the grid in light of the FRIC rule changes did not eventuate, with Nico Rosberg winning the German Grand Prix and his British teammate finishing third after starting in 20th. Several bookmakers, including Coral, Ladbrokes and Sky Bet, are offering odds of 1.73 that Hamilton starts the Hungarian Grand Prix from pole position. And Hamilton is available at odds of 1.80 with Bwin and Paddy Power to win the race for the fifth time in eight years. Both are reasonable wagers. For Hungarian Grand Prix punters wanting to know how Rosberg has fared at the Hungaroring, the Formula One championship leader has form figures of R-7-14-4-R-9-10-19 dating back to 2006. That means that Hamilton has beaten Rosberg in six of their seven Hungarian Grand Prix head-to-head battles, with one tie when both drivers retired from the 2010 race – the Briton on lap 23 and the German on lap 15. Everything points to Hamilton being the best Hungarian Grand Prix bet.